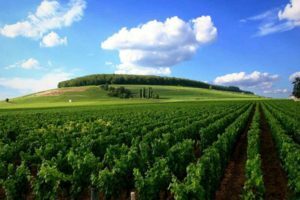 The Burgundy, home to some of the most famous wines in the world. On the wine roads through the vineyards, there are countless landscapes and wine villages to discover. Meet the winemaker in his wine cellar and taste true champagne drops. Celts, Gauls, Romans, the monks of Cîteaux and Cluny, the Dukes of Burgundy ... all left extraordinary traces. This wealth of cultural treasures is refined by some very special jewels: the new art museum in Dijon, the hospital of Beaune, Bibracte, and Alesia, Châteauneuf-en-Auxois and Tanlay, Joigny and La Charité-sur-Loire, Fontenay Monastery, Basilica Vézelay ... the diversity of sights, castles, characteristic villages and cities of art and history makes Burgundy a unique region.